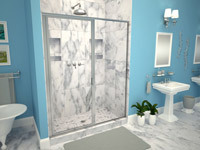 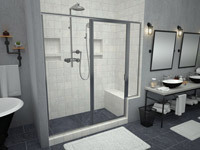 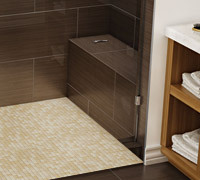 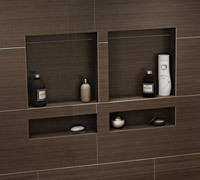 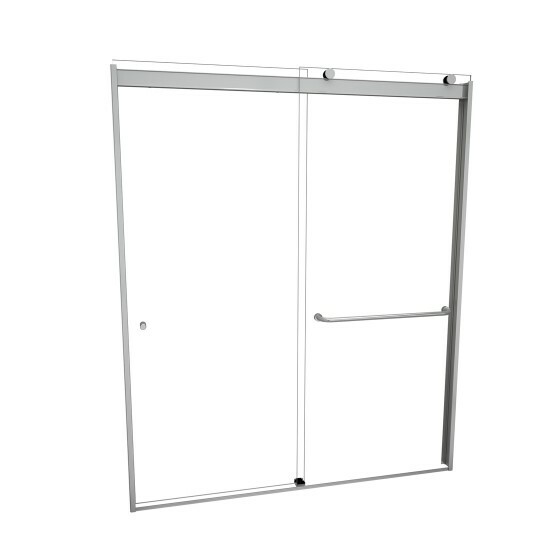 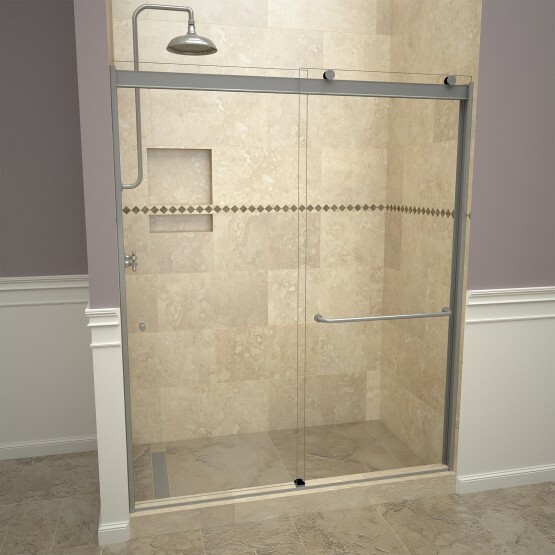 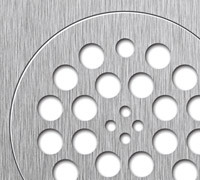 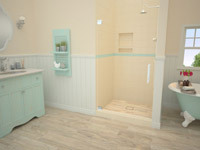 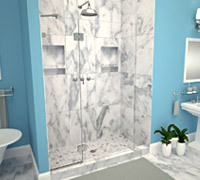 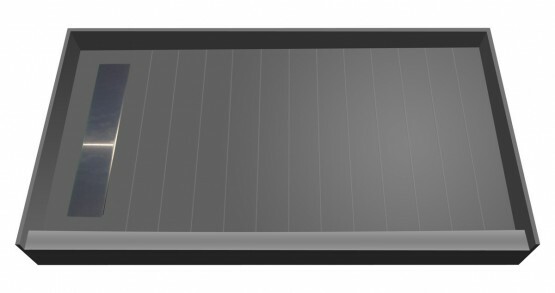 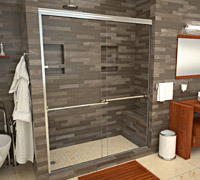 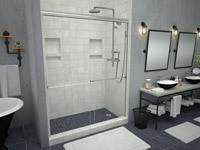 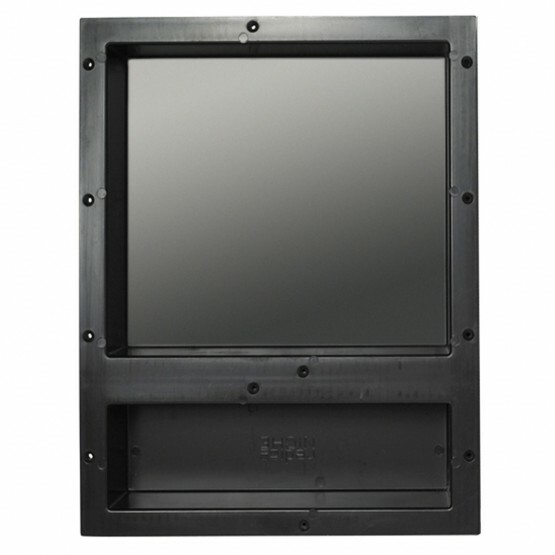 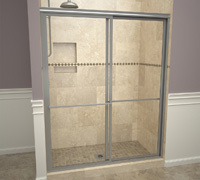 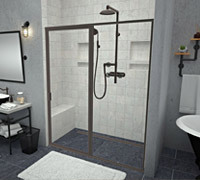 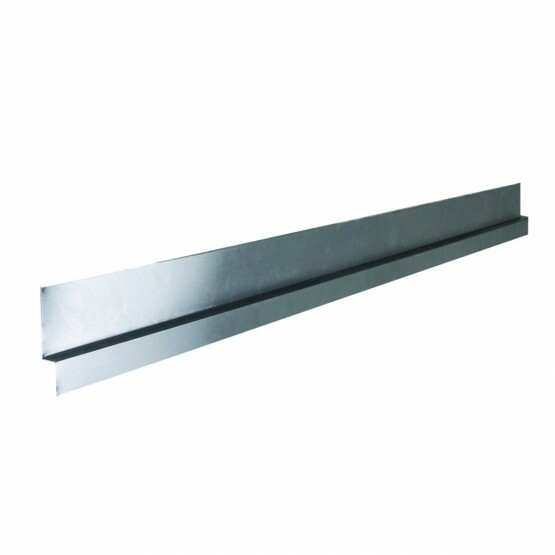 Base’N Door™ Shower Kits include Pan, Door, Niche and Flashing. 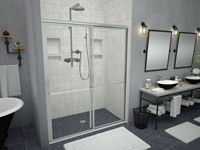 Stress free shopping is right at your fingertips, just choose from the shower pan models and shower doors that best fit your style without second guessing whether or not your pan will fit with your door dimensions. 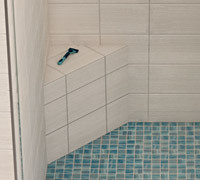 Having a hard time finding the perfectly sized shower pan? 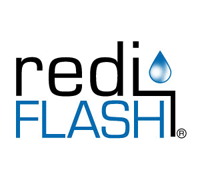 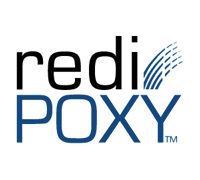 Look no further… Redi Your Way® offers the industry’s only custom one-piece, leak proof shower pan you can install and tile the same day.